Ayahuasca, also called Banisteriopsis caapi, is one of the ingredients of the brew Ayahuasca together with, in most cases, Chacruna, also called Psychootria Viridis. 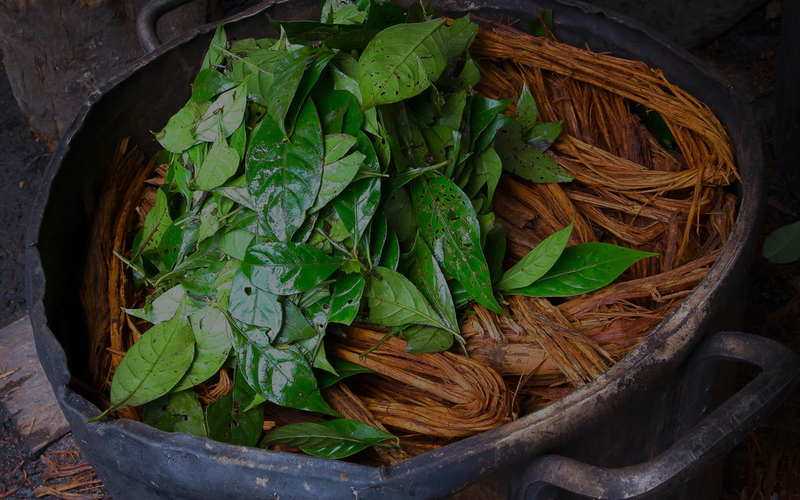 Sometimes the brew Ayahuasca is also made with other plants than Chacruna and often more plants are added into the brew. Ayahuasca is considered to be a very powerful medicine plant; therefore it is also called master plant. Participating in a ceremony and drinking Ayahuasca can cause a deep and powerful healing effect. It is not for everyone, but for the people who hear the call, it can be a life changing experience. Ayahuasca is considered to be a hallucinogenic drink from a western scientific perspective. The native indigenous people who have worked with Ayahuasca and many other plants for thousands of years will have a totally different point of view on this as well as most people who have experienced Ayahuasca themselves. There are no hallucinations in Ayahuasca, the visions people have during the ceremony are real; they are only visions from other dimensions of reality. This statement would be more in tune with the perspective of the indigenous Indians and most people who work with Ayahuasca. Ayahuasca can bring you back to deep traumas and fears and when these are faced, they can be released and healed. It is often said that a few Ayahuasca ceremonies can have the same impact as years of intensive psychological therapies.